“UUUUGH! MY COUPON CODE WON’T WORK?!? !” We hate it when it happens too! So, we have decided to dedicate a weekly post to the current and active coupons / promo codes for Customized Girl. There are many coupon sites out there promoting our coupons and discounts but a lot of what you will find are expired or incorrect. So, if you are searching for CustomizedGirl.com promo codes or coupons, you are in the right place! Below you will find the most current coupons and offers with the satisfaction of knowing they will work! CG329: BOGO 50% OFF! Buy a Junior Fit Basic or Misses Relaxed Basic and get the second one for 50% OFF! Customize our template designs or start from scratch! Valid through 04-04-11. April is Autism Awareness month. Autism is a disease that affects millions of Americans worldwide. According to the Autism Society, “Autism is a complex developmental disability that typically appears during the first three years of life and affects a person’s ability to communicate and interact with others. Autism is defined by a certain set of behaviors and is a “spectrum disorder” that affects individuals differently and to varying degrees. There is no known single cause for autism, but increased awareness and funding can help families today.” Below facts and statistics, as well as symptoms are provided by the Autism Society. 60% of costs are in adult services. In 10 years, the annual cost will be $200-400 billion. 1 percent of the adult population of the United Kingdom have an autism spectrum disorder. Having any of these five “red flags” does not mean your child has autism. But because the characteristics of the disorder vary so much, a child showing these behaviors should have further evaluations by a multidisciplinary team. This team may include a neurologist, psychologist, developmental pediatrician, speech/language therapist, learning consultant, or other professionals knowledgeable about autism. A great way to be an active participant in Autism Awareness Month is to sign up for a walk, run, or marathon! Check your local listings for Autism Awareness events in your city. If you need to design shirts for yourself or your group’s walk or run, CG now has new Autism art, new performance wear, new Autism stickers, group discounts and a lower $3.94 economy shipping rate. 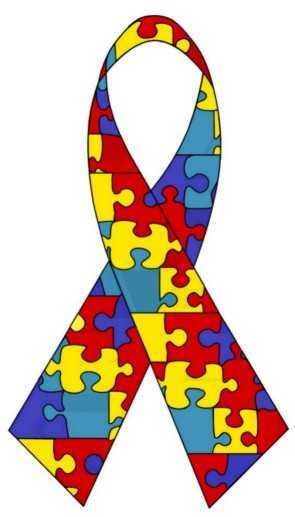 April is all about raising awareness for Autism, a disease that affects millions in the United States. Do your part to support individuals on the spectrum, as well as their families! SPRING IS HERE and so are SPRING SPORTS! CG322: FREE BACK PRINT! Design a front and back item and get the back print for FREE! Valid through 03-28-11. Valid on one item only that permits front and back printing. NEW LOWER ECONOMY SHIPPING! NOW ONLY $3.94! CG315: 10% OFF YOU ENTIRE ORDER! Valid through 03-21-11. Spring is fast approaching so take advantage of this deal customizing a spring sports bag! Pick Your Discount Codes: All valid through 03-14-11. That’s it for now. Oh wait! We now have cheaper US economy shipping for only $3.94! Sign up for our emails (bottom of the page) and get these weekly deals in your inbox. No Code Needed! : Junior and Misses Relaxed Fit Basic Tees now 50% OFF! Valid through 03-04-11. FOUR DAYS ONLY! Take advantage of this offer by getting your St. Patrick’s Day designs in! More Reasons to Patty! 50% OFF! All St Patrick’s Day Party Accessories on CLEARANCE! 50% Off while supplies last! St. Patrick’s Day is March 17th so get your orders in today and avoid the rush shipping!